In this Article I will discuss the Fear of a Tsunami Looming over Japan, Indonesia, Spain ,Portugal and Morocco – with coastal areas in the firing line. Astrological analysis of two major Tsunami incidents in the known world history…. “Roman God Saturn Fallen from 21st June-Nov. 2017 May Prove Explosive for Financial Markets, Natural and Unnatural Calamities” link https://www.astrodocanil.com/2017/06/roman-god-saturn…tural-calamities/ dated 7th June 2017. Let us see the chart of Spain as per the Book of World Horoscopes by Nicholas Campion to evaluate the cause of the same . The chart of Modern Spain is often set for inauguration of King Juan Carlos on the 22nd Nov. 1975 a moment which was marked not only for the restoration of monarchy but of Parliamentary democracy following the Franco dictatorship. The critical moment was when the King took the Oath at 12.45 for the allegiance of the Parliament. Now read my article ” Saturn Stationary in Transit: What it Foretells” link https://www.astrodocanil.com/2015/08/saturn-stationary-in-transit-what-it-foretells/ You would appreciate the significations of a Stationary Planet and that of the slowest moving planet for the Results when it activates certain degrees 3 times when it is also stationary. The planet is capable to give the results with strong force almost 3 times then the normal transit . The following were the critical points in Transit for the Floods disaster. 1.The Most Critical Parameter in the current transit is that of Mercury. I have written in all my articles that Mercury ingressed in Virgo on the 23rd August 2015 when Rahu in Virgo was in Forward motion and most malefic and afflicting Mercury totally till 29th Oct. 2015. 2. Mercury is the Trishamsha Lord of Saturn the Lagna Lord and the 8th Lord Sun in the foundation chart and see the Transit Trishamsha chart, amazingly Mercury is also the Trishamsha Lord in transit on the 7th Sept. 2015. 3. Transit Saturn over the 8th Lord Sun , Mercury and Gulika in the Natal chart who have been activated on the 6th August 2015 at very close degrees and same navamsha . 4. 7th Sept. 2015 Mercury was in Debilitation in the Pieces sign the full watery sign in Trishamsha . All is crystal clear of the happenings and as predicted by me , for the basic Parameters . it is very difficult to write for all the countries , but all Parameters written by me are satisfying the conditions for the event. 5. My Research Principles of the 8th house/lord, navamsha Sign and the Lords when afflicted by Rahu-Ketu, Mars and Saturn bring havoc for the countries and individual depending upon the number of Parameters afflicted the strength will depend upon them. In the case of Spain 8th house , Lord, Navamsha sign all afflicted in transit. 6. Moon the Activator of the vents on the natal Moon and Mars in the chart who is Debilitated in Transit and in the Cancer sign with Fallen Venus afflicting the Watery sign aspecting the Lagna and thus damaging the Vehicles. In the natal chart Venus is Debilitated and aspected by Mars Retrograde. 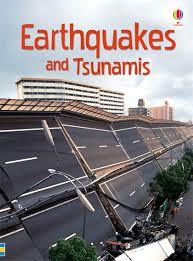 According to my Research the following combinations give rise to Earthquakes, Tsunami and other Major Natural and in Natural Calamities . 1.When 2 or more Planets are there in Watery signs and Fiery signs both in the Rashi and Navamsha , they Give Strong Earthquakes and Tsunami. 1.The Dasha in operation is of Mercury -Venus-Sun and Mercury and Sun Placed in Scorpio and Venus Debilitated and aspected By Fallen Jupiter from Pieces the Lord of the Total Watery sign. 8.The time of the twin Eclipses in August 2017and when Rahu is in forward motion from the 7th August to 25th August 2017 a Strong Earthquake cannot be ruled out In the Coastal Areas and the Countries already mentioned by me are most Prone and specially China the Conjunction of the Rahu and Mars in the 8th house over the natal Saturn could be explosive from 26th August to 9th Sept. 2017. 9.Apart from the Natural disasters the Country is also Prone to Terrorism in the month of August between the Twin Eclipses and specially when Sun ingresses in Leo on the 17th August 2017. North Node Rahu will be in forward motion from the 7th August to 25th August and then from the 28th August to 8th Sept. 2017 are most prone for Natural and Unnatural Disasters . Terrorism cannot be ruled out in any case In Europe and specially, Spain, London and The Coastal Areas as explained in the Article above. Hence After 20th June , then after 29th June and then after 5th July to 19th July 2017 one of the most Explosive times for heavy Rains, Tsunamis,Earthquakes, Fires, Explosions and Volcanos. Japan and Indonesia have been discussed already . Saturn is getting into this Stage after 59 years and bound to influence the Globe in Totality . For the Month of August and Sept. 2017 I will write another Article . Russia had Virgo Lagna and China has Capricorn Lagna , hence during this Period of Saturn Fallen may also bring Tragedies Natural and Unnatural ones .. All the Major Countries may be involved some way or the other it so seems , specially after Mars Joins its Debilitation sign on the 11th July 2017. ← Will Fallen Roman God Saturn Escalate the Unrest in Trouble Ridden Kashmir after 21st June 2017 ?